Filtist by You Hashizume is a simple and fun app that lets you apply various filters to videos you take within the app. 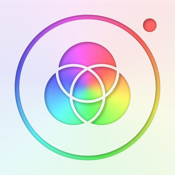 The app store is full of filter tools for editing photos, but apps for adding different filters to videos are nowhere near as common. This one’s a lot of fun and there are quite a few filters to choose from. Now you can turn those boring old videos into something special and share them with your loved ones. Filtist is an addictive little app and it’s suitable for all ages. This free app is compatible with the iPhone, iPad, and iPod Touch. Other video editing apps that do come with filters are generally very limited in their scope – either the video length is limited, there’s a watermark on your videos, or there isn’t a lot of choice. Filtist is an entirely different animal. In this app, there are close to thirty different filters you can choose from and the length of your videos is not limited. There aren’t too many video filtering apps with the range of choices available that you’ll find in Filtist. Like the majority of picture and video editing tools this app does have ads, but the way they use them is actually quite unique. Some of the filters are locked by default, but can be unlocked for a limited time, for free, if you’re willing to view a video advertisement first. It’s a less obtrusive way of handling advertisements. As an alternative, you can also unlock all of the filters with an in-app purchase as well. What’s great about Filtist app is that they leave the choice up to you – if you don’t want to view advertisements you don’t have to, and they don’t aggressively try to get you to buy their in-app purchase. This really is a breath of fresh air. Filtist app will require 17.8 MB of available space on your iOS device. The app features a simple user interface which isn’t difficult to figure out. The first thing you’ll need to do though is to allow it access to your camera and microphone or you won’t be able to make any videos with the app. Once you’ve got this taken care of the app will default to your video camera. Along the right hand side of the video screen are the tools available to you. There isn’t a lot to it. At the top is a settings section where you can adjust some camera settings, view some information about the app, and access the in-app purchases. Below the settings icon is the record button, and underneath this is the filter tools. There’s also a button that will let you view your most recent video, but that’s all there is to it. Choosing a filter is simple – you just swipe through the list until you find the one you want to use, tap on it, and then start recording your video. The process is quite simple, but the results are stunning. You also have the option to record videos in standard definition of high definition. Filtist is a great video filtering app that’s simple to use but allows you to create great videos without a lot of effort. There are numerous filters to choose from and you can access all of them for free. This is definitely an app you’ll want to check out.